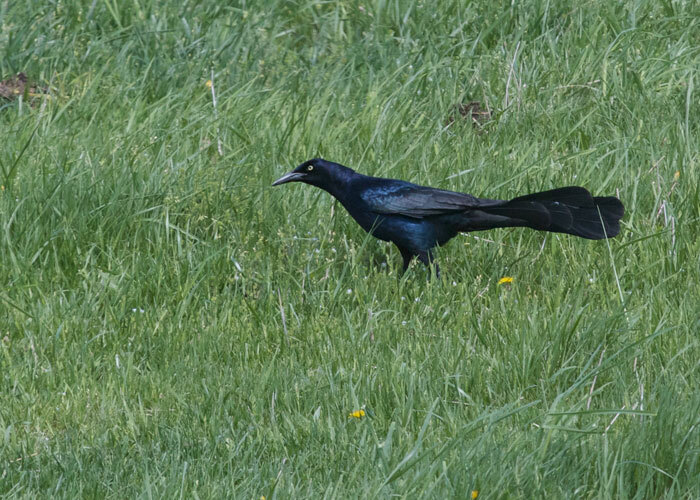 Today I saw my first Iowa great-tailed grackles. Just get a load of that tail! Male and female seem to be breeding in the middle of a very small, round pond just south of Birmingham. Once in a while, everything comes together to make a perfect product. We think it's happened with Swarovski's EL 32mm Swarovision binocular. Weighing only 20 ounces, with unimaginably bright, clear optics, and working splendidly even for glasses wearers, we deem this — well, perfect. 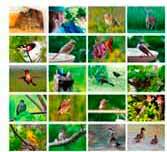 Thayer Birding Software's Gold Edition DVD is the ultimate resource for bird information. For PC computer. World-class bird photos. Songs, sonograms, action videos, and detailed range maps.